The Minnesota Lynx are heading back to the WNBA Finals. 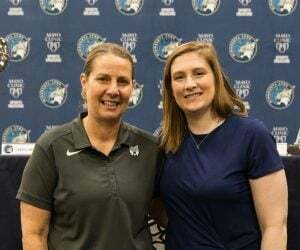 The top-seeded Lynx took down the sixth-seeded Washington Mystics 81-70 on Sunday afternoon in the nation’s capital to complete the 3-0 sweep in the semifinals and advance to the WNBA Finals for the sixth time in the last seven seasons. 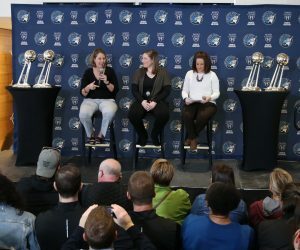 Maya Moore had 21 points and five assists, Seimone Augustus had 18 points, five rebounds and four assists and Sylvia Fowles finished with a double-double of 17 points and 14 rebounds to lead the Lynx. 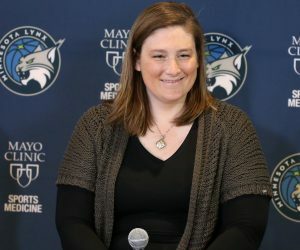 Lindsay Whalen added eight points, five assists and three rebounds, Rebekkah Brunson tallied five points and six rebounds, Plenette Pierson had four points and Renee Montgomery had three points and four assists. For Washington, Elena Delle Donne had 15 points and eight rebounds, Tierra Ruffin-Pratt had 14 points and five rebounds and Kristi Toliver had 13 points and five assists. 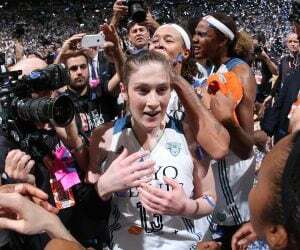 The Lynx will host Game 1 of the WNBA Finals at 2:30 p.m. (CT) Sunday, September 24 at Williams Arena. Minnesota will take on the winner of the Los Angeles Sparks/Phoenix Mercury semifinal series. The Highlight of the Game is the start of the third quarter from Augustus and the Lynx. Trailing by one coming out of halftime, Minnesota went on a 11-0 run out of the gate to regain the lead. Augustus went on a 10-0 run by herself during that stretch. Since trailing 39-38 coming out of halftime, Minnesota went on to outscore Washington 43-31 in the second half. The Lynx shot 50 percent from the field in the game, while the Mystics finished shooting 38.8 percent. With her field goal midway through the fourth quarter, Whalen became the fifth player in WNBA playoff history to record 900 career points. Sunday’s Lynx Player of the Game goes to Seimone Augustus. Augustus tallied 14 of her 18 points in the second half of Sunday’s game and helped lead Minnesota to the victory. Augustus finished with 18 points, five rebounds and four assists in the game, shooting 8-for-12 from the field. 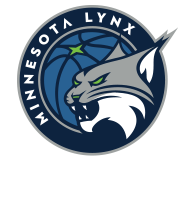 The Lynx advance to the 2017 WNBA Finals, which will begin on Sunday, Sept. 24 at Williams Arena. Game 1 will be at 2:30 p.m. (CT) and will be aired on ABC, 106.1 BOB FM, TuneIn Radio and the Lynx App.